Anthony Martial scored against Arsenal to draw Man United level at Old Trafford this evening, and it we’re sure the Frenchman couldn’t have asked for a birthday present regarding the goal. 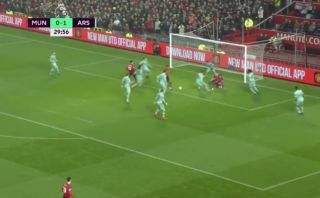 The strike came after a free kick from United was saved well by Bernd Leno, however the ball was put across goal by Ander Herrera, something that allowed Martial to tap home to draw the home side level. Martial won’t score many easier goals than this in his career, as the ball across from Herrera was an absolute gift for the Frenchman! Here’s a clip of Martial’s goal on his birthday. What a present that is!